Make the next SIX hours count today! A very special “Thank You” to Shah Restaurant in Sunnyvale, Karl John Kramer, Greg Barr, Penny & John Pollock, and those who donated on our Facebook page for your support this afternoon on Giving Tuesday! There's still 6 hours left to make a donation of any amount to our organization here. The form takes a few seconds (okay, maybe a minute or two) to fill out, so why not do some good while making dinner and help us end homelessness in Silicon Valley at the same time?! 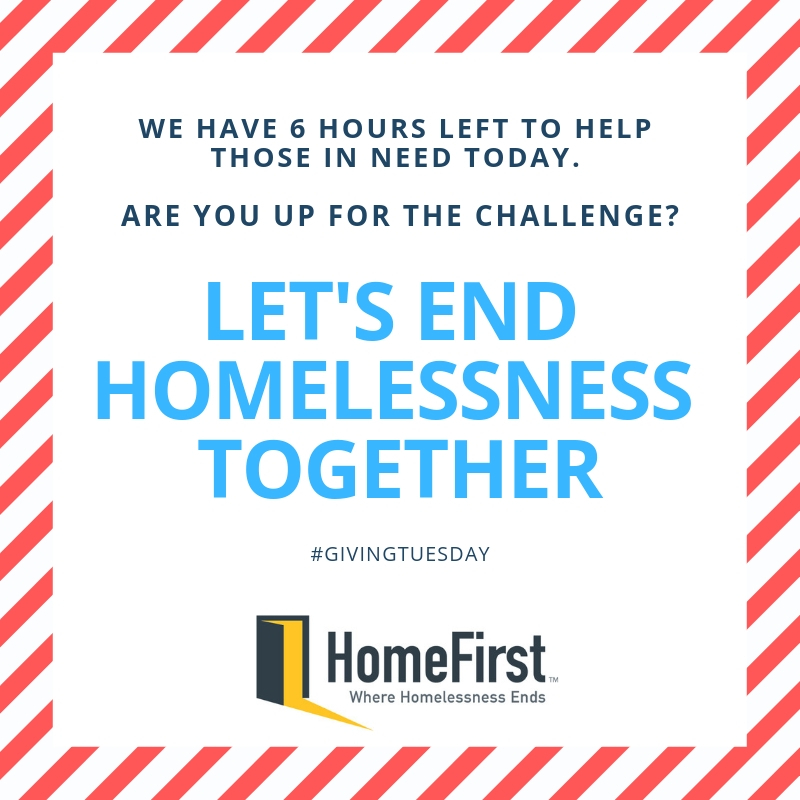 Before you go home and have a nice dinner or workout, don't forget that you have 6 hours left to partner with us on Giving Tuesday to end homelessness and make a donation of any amount to our organization here. We thank you in advance for your support today! Newer PostLet's end Giving Tuesday STRONG together! Older Post12 hours left to support HomeFirst on Giving Tuesday!